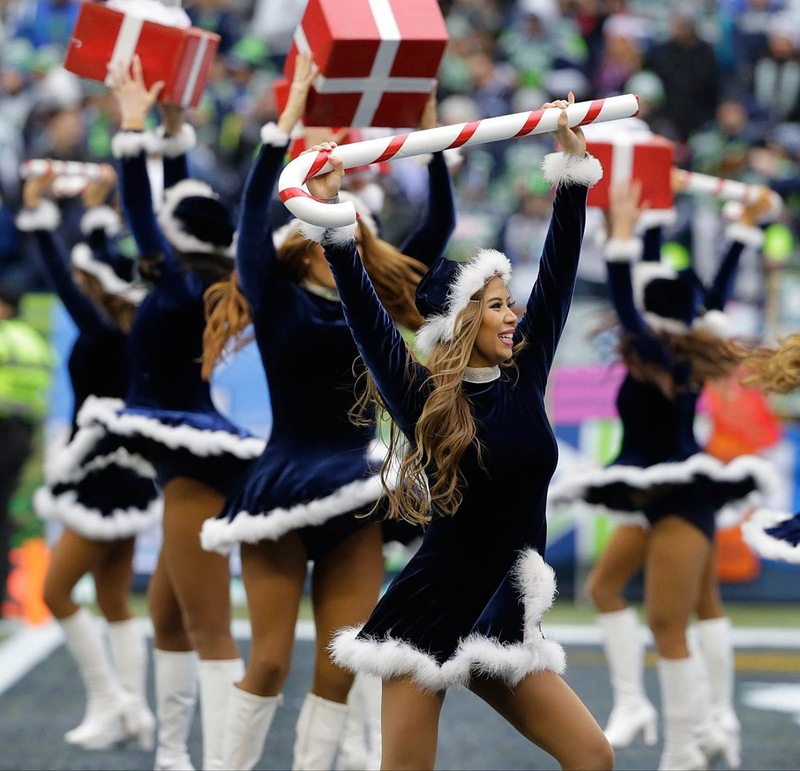 A festive Sea Gals photo as promised, for Gary. Well, okay, I only see six. The team looked more like their Hawksome selves on Thursday. Granted, it was against the Rams.